AMC Baltic started in January 2008, as a company manufacturer of loudspeakers and electronics. Before that time AMC was already known as a brand in audio industry since year 2000. 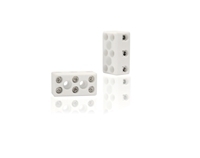 Now it is a modern and flexible company, operating in highly competitive international market. Our target is contractor market. Reliable, simple, quality and competitive priced products. We are focusing on public address and voice evacuation markets. The markets with a need of big quantities and fast delivery time. 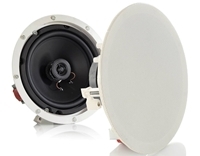 You are able to order thousands of loudspeakers and usually they are on our stock. The shipments are reaching our customers in some days. Today we sell to 25 countries worldwide. Between our customers are the names such as: Honeywell, Hedcom, Imlight Showtechnic, Starfelt, Karadag Electronics, Norsk Lydteknikk, ABISS, Proeling, Linearic , Digitalemotions , Prodytel , Novar, Esistemas, DLP Audio, Audiologic. You can recognize our products with the AMC letters on the speaker body in many prestigious buildings around the Globe.